It’s never too early to speculate on the Opening Day roster construction. More specifically, I’m going to take an early look at the bullpen because Dave Roberts mentioned it a few days ago. Dave Roberts said an 8 Man bullpen is the “baseline” constructing #Dodgers roster. The Dodgers — and most teams — opt for an 8-man bullpen these days. Some hate the idea, some are indifferent to it, but it’s the way baseball is heading these days. And, because Eric Stephen is literally a robot, he has this helpful tidbit about the pitching staff from last year. So, more than half of the pre-roster expansion games were played with exactly eight relievers. That will continue to be the norm. Let’s see how this all could break down, assuming a starting rotation of Rich Hill, Clayton Kershaw, Kenta Maeda, Hyun-Jin Ryu and Alex Wood. Jansen is a lock for obvious reasons. Cingrani and Koehler are locks because they’re out of options. Cingrani was incredible for the Dodgers after the acquired him from the Reds. He should be the teams primary lefty out of the bullpen. Koehler was given a $2 million deal, and even the Dodgers wouldn’t just cut bait with him unless he were truly awful this spring (and they probably still wouldn’t). All of these guys have options. Alexander is only here because of that, but the Dodgers didn’t trade for him just to play him at OKC. Baez was one of Roberts’ go-to guys early on before faltering late. It’s hard to see him beginning in Triple-A. Garcia is a wild card whose status will be determined by health. If he isn’t ready for Opening Day in the majors, he’ll get some extended time in OKC. Fields has an option, but it’s also hard to see him in Triple-A to start the season. Liberatore and Paredes are interesting. If the Dodgers want three lefties in the bullpen, then either of them could be in consideration — depending on their spring performance. Buehler is only here because he had some time in the bullpen last year, but he’s the No. 6 starter for the Dodgers at the moment. Font is out of options and was great in a starting role for OKC last year, but if he cracks the Opening Day roster, it’ll be as a long man. Stewart and Stripling are in similar situations. They both have options and the Dodgers want them to be starting pitching depth, so it wouldn’t be surprising if both began in Triple-A this season. Baker and Chargois have injury concerns and are good hard-throwing wild cards to have on the 40-man roster. Owens is intriguing because he’s a former top prospect, but his command/control is 20-grade right now. Santana is the best of these four, but he hasn’t pitched above Double-A and there’s still a good chance he can stick in a starting rotation. Any of these guys are possibilities, but I’d be surprised if any of them made it. I predicted last month if there were any to make it, it’d be Lee or Lowe. Lee gave up three runs in his first outing, while Lowe hasn’t pitched yet. Neal could be a wild card. 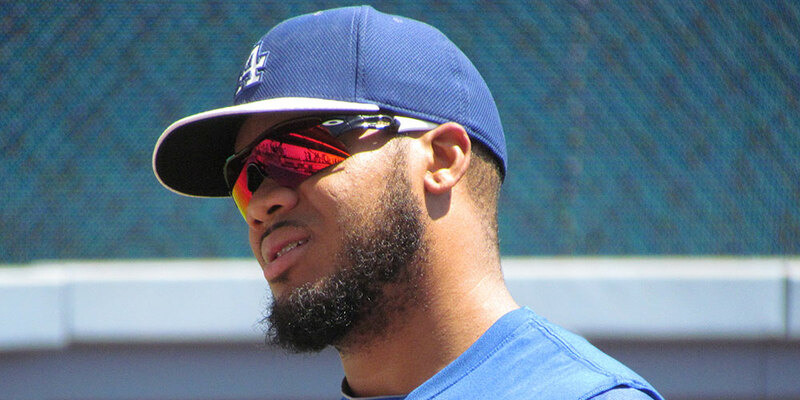 He’s a command/control guy the Dodgers might be stretching out to start at Triple-A, but he could sneak his way into consideration by the end of the March. Sierra most likely won’t be in consideration because he carries a $5 million luxury tax number that would have to be added to the payroll. I don’t think the Dodgers want to risk losing Font just yet, so I’m going with him. Lowe could be the NRI to get the nod because there are so many other guys who have options. 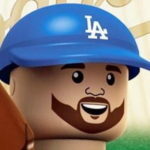 It doesn’t mean he’ll make it through the season on the roster, but I have a suspicion the Dodgers might want to give him a chance early on. The others are self-explanatory. This prediction will change as the month progresses. For now, this is what I’m going with.